This website and the SmileVision TV® line of products, software, data feeds, and services as described further herein (collectively the “Service”) are the property of SEEBOND, LLC (“SmileVision TV”). By using this website or any of the Service, you signify your agreement to these terms and conditions (the “Subscriber Guidelines”). If you do not agree to any of these terms and conditions, do not use the Service. Although we may attempt to notify you when major changes are made to these Subscriber Guidelines, it is your right and obligation to periodically review the most current version. SmileVisionTV may, in its sole discretion, modify or revise these Subscriber Guidelines and policies at any time, and you agree to be bound by such modifications or revisions. The Service includes all aspects of the Service, including but not limited to all products, software and services offered via the website, such as the SmileVision TV products (currently comprised of “Premium TV,” “Vision Website Player,” “Patient Consult,” “Online TV Player,” and “Upload,” and subject to change) and other applications. “Content” includes the text, software, scripts, graphics, photos, sounds, music, videos, audiovisual combinations, interactive features such as list directories, email or snail mail and other materials subscribers may view on, access through, or contribute to the Service. These Subscriber Guidelines apply to all subscribers (“Subscribers”) of the Service, including “Paid Subscribers” and “Subsidized Subscribers” (as defined below), and Subscribers who are also contributors of Content to the Service on the SmileVision TV site (whether or not a Paid or Subsidized subscriber). “Subsidized Subscribers” are Subscribers that elect to register and use a version of the Service that incorporates third-party advertising and promotional materials into the Content, including without limitation, video and still commercials (“Third Party Content”). SmileVision TV will provide each Subsidized Subscriber with a one-time rebate/credit to the Subsidized Subscriber’s account (such amount to be set forth at the time of the initial registration), and will waive all or a portion of the monthly subscription fees which Subsidized Subscriber is otherwise obligated to pay hereunder (currently $147.00 per month, but subject to change), but only to the extent that Third Party Content is being incorporated into the Subsidized Subscriber’s use of the Service and that same is sufficient to offset all or a portion of the monthly subscription fees. For the avoidance of doubt, Subsidized Subscriber remains responsible at all times for payment of the monthly subscription fees (up to the full amount thereof) to the extent that the Third Party Content included in the Service is insufficient to offset the subscription fees. You acknowledge and agree that the selection of the Third Party Content will be determined by SmileVision TV in its sole discretion. In the event that you object to any Third Party Content, you may request removal of the applicable Content from the Service, and SmileVision TV may discuss and consider each request in good faith, but will be under no obligation to remove or alter the Third Party Content. By using the Service, you expressly agree that SmileVision TV retains final approval or disapproval with respect to all Third Party Content on the Service. If you are a Subsidized Subscriber, you agree that the “term” of your agreement with SmileVision TV (and all of the terms and conditions herein) shall extend for an initial term of not less than twelve (12) months from the date of initial registration and payment of registration fees (the “initial term”), and shall thereafter automatically renew for consecutive and successive twelve (12) month periods (each a “renewal” term), unless you provide SmileVision TV with written notice of either (i) non-renewal, or (ii) your election to transition to a Paid Subscriber subscription, not less than thirty (30) days prior to the end of the then-current period. In the event that you desire to prematurely terminate your agreement with SmileVision TV, you agree to pay an early-termination fee to SmileVision TV equal to the amount of months remaining in the then-current term multiplied by the then-current monthly subscription fee charged to Paid Subscribers. In the event that SmileVision TV is not able to procure or retain a sufficient number of third party advertisers (i.e., to justify the subsidized monthly payments) as determinable in its sole discretion, then SmileVision TV retains the right in its sole discretion to (i) immediately terminate this agreement without penalty to you or SmileVision TV, or (ii) charge you an amount equal to the monthly subscription fees less the applicable Third Party content revenue, but provided that you will have the option to convert your account into a Paid Subscriber account. “Paid Subscribers” are Subscribers that elect to register and use a version of the Service that does not incorporate Third Party Content. Paid Subscribers agree to pay the full registration fee and monthly subscription fees, such amounts to be set forth at the time of the initial registration and subject to change. If you are a Paid Subscriber, you agree that the “term” of your agreement with SmileVision TV (and all of terms and conditions herein) shall be month-to-month, meaning that you or SmileVision TV may terminate the relationship at any time and for any reason upon thirty (30) days written notice to the other party. In addition, you acknowledge and agree that SmileVision TV may modify the amount of the monthly subscription payments at any time and for any reason in its sole discretion, by providing written notice of the same to you not less than thirty (30) days prior to the change going into effect. In order to access some features of the Service, you will need to create a SmileVision TV Subscriber account. You may never use any account other than your own without proper authorization. When creating your account, you must provide accurate and complete information. You are solely responsible for the activity that occurs on your account, and you must keep your account password secure. You must notify SmileVision TV immediately of any breach of security or unauthorized use of your Subscriber account so that we may act accordingly. Although SmileVision TV will not be liable for losses caused by any unauthorized use of your account, you may be liable for the losses of SmileVision TV or others due to such unauthorized use. No Refunds. SmileVision TV does not provide refunds at any time following the completion of registration. You agree not to distribute in any medium any part of the Service or the Content without SmileVision TV’s prior written authorization, unless SmileVision TV makes available the means for such distribution through functionality offered by the Service (such as the Embedded Player). You agree not to alter or attempt to modify or alter any part of the Service. Player, or other explicitly authorized means SmileVision TV may designate. the sale of advertising, sponsorships, or promotions on any page of an ad-enabled blog or website containing Content delivered via the Service, unless other material not obtained from SmileVision TV appears on the same page and is of sufficient value to be the basis for such sales. any use that SmileVision TV expressly authorizes in writing. Should authorization be granted to use the SmileVision TV Embedded Player on your website, you may not modify, build upon, or block any portion or functionality of the Embedded Player, including but not limited to links back to the SmileVision TV website. If you use the SmileVision TV Upload, you agree that it may automatically download and install updates from time to time from SmileVision TV. These updates are designed to improve, enhance and further develop the Upload and may take the form of bug fixes, enhanced functions, new software modules and completely new versions. You agree to receive such updates (and permit SmileVision TV to deliver these to you) as part of your use of the Upload. You agree not to use or launch any automated data gathering, mining or extraction systems, including without limitation, “robots,” “spiders,” or “offline readers.” SmileVision TV reserves the right to revoke exceptions either generally or in specific cases. You agree not to collect or harvest any personally identifiable information, if any, including account names, from the Service, nor to use the communication systems provided by the Service (e.g., comments, email) for any commercial or public solicitation purposes. You agree not to solicit, for commercial or public purposes, any users of the Service with respect to their Content. SmileVision TV reserves the right to discontinue any aspect of the Service at any time. The Content on the Service, and the trademarks, service marks and logos (“Marks”) on the Service, are owned by or licensed to SmileVision TV, subject to trademark, copyright and other intellectual property rights under the law. Content is provided to you as presented within the SmileVision TV video library unless permissible sharing or video, image or texting customization is applied. You may access Content for your information and professional use solely as intended through the functionality of the Service and as permitted under these Subscriber Guidelines. You shall not download any Content unless you see a “download” or similar link displayed by SmileVision TV on the Service for that Content. You shall not copy, reproduce, distribute, transmit, broadcast, display, sell, license, or otherwise exploit any Content for any other purposes without the prior written consent of SmileVision TV or the respective licensors of the Content. SmileVision TV reserve all rights not expressly granted in and to the Service and the Content. You understand that when using the Service, you will be exposed to Content from a variety of sources concerning issues of the dental profession and possibly other professions (“Professional Content”), and that SmileVision TV is not responsible for the accuracy, usefulness, safety, or intellectual property rights of or relating to such Professional Content. You further understand and acknowledge that you may be exposed to Content that is inaccurate, distasteful, coarse, or objectionable, and you agree to waive, and hereby do waive, any legal or equitable rights or remedies you have or may have against SmileVision TV and its Representatives with respect thereto, and, to the extent permitted by applicable law, agree to indemnify and hold harmless Global Check and its Representatives to the fullest extent allowed by law regarding all matters related to your use of the Service. As a SmileVision TV Subscriber account holder, you may submit Professional Content to the Service, including videos and user comments. You understand that SmileVision TV does not guarantee any confidentiality with respect to any Professional Content you submit. You shall be solely responsible for the Upload of your Professional Content and the consequences of submitting and publishing your Content on the Service. You will retain all of your ownership rights in the Professional Content you submit. However, by submitting Professional Content to SmileVision TV, you hereby grant SmileVision TV and its Representatives a worldwide, non-exclusive, perpetual, royalty-free, sublicense and transferable license to use, reproduce, distribute, prepare derivative works of, display, and perform the Professional Content in connection with the Service, including without limitation for promoting and redistributing part or all of the Service (and derivative works thereof) in any media formats and through any media channels. You also hereby grant each user of the Service a non-exclusive license to access your Professional Content through the Service, and to use, reproduce, distribute, display and perform such Professional Content as permitted through the functionality of the Service and under these Subscriber Guidelines. You hereby agree, represent and warrant that Content you submit to the Service will not contain third party copyrighted material, or material that is subject to other third party proprietary rights, unless you have authorization from the rightful owner of the material or you are otherwise legally entitled to post the material and to grant SmileVision TV and its Representatives all of the license rights granted herein. You further agree that you will not submit to the Service any Professional Content or other material that is contrary to these Subscriber Guidelines (as may be updated from time to time) or contrary to applicable local, state, national, and international laws and regulations. Any and all Subscriber(s) taking advantage of the feature(s) on the Service engages a firm level of trust within the SmileVision community. SmileVision TV relies upon its Subscribers to respect that trust. Be one of them. SmileVision TV expressly prohibits pornographic or sexually explicit content in any form or nature. If this describes your video, images or choice of language, do not post it on SmileVision TV. Do not post videos showing unacceptable and/or illicit content such as animal cruelty or abuse, drug abuse, under-age drinking and smoking, or other content containing illicit activities. Do not post graphic content including, but not limited to, content that depicts violence, graphic surgical or medical procedures, injury, death, destruction, terrorism, or similar inappropriate content, or content that may cause humiliation or defamation. Do not post restricted hate speech (speech which attacks or demeans a group based on race or ethnic origin, religion, disability, gender, age, veteran status, and sexual orientation/gender identity). Do not post content that incorporates unfair competitive or predatory behavior, stalking, threats, harassment, intimidation, invading privacy, revealing other people’s personal information, or inciting others to commit violent acts. Everyone dislikes spam. Do not create misleading descriptions, tags, titles or thumbnails in order to increase views. SmileVision TV restricts posting large amounts of untargeted, unwanted or repetitive content, including comments and private messages. Respect copyright law. Only use Upload for content that you made or that you are authorized to use. This means do not use Upload for content you did not make, or use content within your video, image or language creations that someone else owns the copyright to, such as music tracks, snippets of copyrighted programs, or videos made by other users, without necessary authorizations. Posting of any infringing content described above (as determined by SmileVision TV at its sole discretion) may lead to the immediate termination of your SmileVision TV account. Please take these rules seriously and by all means, professionally and personally. Please abide by and understand them, and try to respect the positive intent with which they were created. SmileVision TV staff does actively review Content, videos, images and texting on an ongoing basis to determine whether they violate our Subscriber Guidelines. When they do, we remove them. Sometimes a video doesn’t violate our Subscriber Guidelines, but may not be appropriate for everyone. These videos may be age-sensitive and thus restricted. Accounts are penalized for Subscriber Guideline violations and serious or repeated violations will lead to account termination. If your account is terminated, you will not be allowed to create any new accounts. Remember that this is your Professional Community! Each and every Subscriber to SmileVision TV makes the site what it is, so don’t be timid or afraid to roll up your sleeves and get involved! Have fun with the site. There are many building tools and creative options at your fingertips with SmileVision TV, and many professionals are designing amazing marketing strategies and sharing them with their colleagues. The over-the-counter computer equipment and control modules are becoming more affordable to everyone and easier to use all the time, so jump in and have fun and remember, your patients see your work! Let other professionals know what you think, what your approach is or how you are doing it. Constructive feedback is the greatest part of the experience, and when done constructively, can be a great way to widen your professional network, share stories, and make your time on SmileVision TV a richer experience for you and your customers. So leave comments, rate videos, make your own responses to videos that affect you, enter contests of interest—there’s a lot building and many ways to participate during the construction process. SmileVision TV does not endorse any Professional Content submitted to the Service by any user or other licensor, or any opinion, recommendation, or advice expressed therein, and SmileVision TV and its Representatives expressly disclaim any and all liability in connection with Professional Content. SmileVision TV does not permit copyright infringing activities and infringement of intellectual property rights on the Service, and SmileVision TV will remove all Professional Content if properly notified that such content infringes on another’s intellectual property rights. SmileVision TV reserves the right to remove Content without prior notice. SmileVision TV reserves the right to remove Content from the Service and/or terminate the account of any Subscriber at any time without prior notice in the event that SmileVision TV determines, in its sole discretion that a Subscriber or its Content is in violation of these Subscriber Guidelines. All notifications of claimed infringements should be emailed to [brands@smilevisiontv.com] and SmileVision TV will forward all correspondence to its designated Copyright Agent. For clarity, only DMCA notices should be addressed to the Copyright Agent; any other feedback, comments, requests for technical support, and other communications should be directed to SmileVision TV customer service through [brands@smilevisiontv.com]. You acknowledge that if you fail to comply with all of the requirements of this Section 5(D), your DMCA notice may not be valid. If a counter-notice is received, SmileVision TV will forward correspondence to its Copyright Agent and may send a copy of the counter-notice to the original complaining party informing that person that it may replace the removed Content or cease disabling it in 10 business days. Unless the copyright owner files an action seeking a court order against the Content provider, Subscriber or user, the removed Content may be replaced, or accessed to restore it, in 10 to 14 business days or more after receipt of the counter-notice, at SmileVision TV’s sole discretion. YOU AGREE THAT YOUR USE OF THE SERVICES SHALL BE AT YOUR SOLE RISK. TO THE FULLEST EXTENT PERMITTED BY LAW, SMILEVISION TV AND ITS REPRESENTATIVES DISCLAIM ALL WARRANTIES, EXPRESS OR IMPLIED, IN CONNECTION WITH THE SERVICES AND YOUR USE THEREOF. SMILEVISION TV AND ITS REPRESENTATIVES MAKE NO WARRANTIES OR REPRESENTATIONS ABOUT THE ACCURACY OR COMPLETENESS OF THIS SITE’S CONTENT OR THE CONTENT OF ANY SITES LINKED TO THIS SITE AND ASSUME NO LIABILITY OR RESPONSIBILITY FOR ANY (I) ERRORS, MISTAKES, OR INACCURACIES OF CONTENT, (II) PERSONAL INJURY OR PROPERTY DAMAGE, OF ANY NATURE WHATSOEVER, RESULTING FROM YOUR ACCESS TO AND USE OF OUR SERVICES, (III) ANY UNAUTHORIZED ACCESS TO OR USE OF OUR SECURE SERVERS AND/OR ANY AND ALL PROFESSIONAL, PERSONAL INFORMATION AND/OR FINANCIAL INFORMATION THAT MAY BE CONSIDERED SENSITIVE INFORMATION THAT CURRENTLY IS OR WAS PREVIOUSLY STORED THEREIN, (IV) ANY INTERRUPTION OR CESSATION OF TRANSMISSION TO OR FROM OUR SERVICES, (IV) ANY BUGS, VIRUSES, TROJAN HORSES, OR THE LIKE WHICH MAY BE TRANSMITTED TO OR THROUGH OUR SERVICES BY ANY THIRD PARTY, AND/OR (V) ANY ERRORS OR OMISSIONS IN ANY CONTENT OR FOR ANY LOSS OR DAMAGE OF ANY KIND INCURRED AS A RESULT OF THE USE OF ANY CONTENT POSTED, EMAILED, TRANSMITTED, OR OTHERWISE MADE AVAILABLE VIA THE SERVICES. SMILEVISION TV AND ITS REPRESENTATIVES DO NOT WARRANT, ENDORSE, GUARANTEE, OR ASSUME RESPONSIBILITY FOR ANY PRODUCT OR SERVICE ADVERTISED OR OFFERED BY A THIRD PARTY THROUGH THE SERVICES OR ANY HYPERLINKED SERVICES OR FEATURED IN ANY PANEL, ZONE OR OTHER ADVERTISING, AND SMILEVISION TV WILL NOT BE A PARTY TO OR IN ANY WAY BE RESPONSIBLE FOR MONITORING ANY TRANSACTION BETWEEN YOU AND THIRD-PARTY PROVIDERS OF PRODUCTS OR SERVICES. AS WITH THE PURCHASE OF A PRODUCT OR SERVICE THROUGH ANY MEDIUM OR IN ANY ENVIRONMENT, YOU SHOULD USE YOUR BEST JUDGMENT AND EXERCISE CAUTION WHERE APPROPRIATE. IN NO EVENT SHALL SMILEVISION TV OR ITS REPRESENTATIVES BE LIABLE TO YOU FOR ANY DIRECT, INDIRECT, INCIDENTAL, SPECIAL, PUNITIVE, OR CONSEQUENTIAL DAMAGES WHATSOEVER RESULTING FROM ANY (I) ERRORS, MISTAKES, OR INACCURACIES OF CONTENT, (II) PERSONAL INJURY OR PROPERTY DAMAGE, OF ANY NATURE WHATSOEVER, RESULTING FROM YOUR ACCESS TO AND USE OF OUR SERVICES, (III) ANY UNAUTHORIZED ACCESS TO OR USE OF OUR SECURE SERVERS AND/OR ANY AND ALL PROFESSIONAL, PERSONAL INFORMATION AND/OR FINANCIAL INFORMATION THAT MAY BE CONSIDERED SENSITIVE INFORMATION THAT CURRENTLY IS OR WAS PREVIOUSLY STORED THEREIN, (IV) ANY INTERRUPTION OR TERMINATION OF TRANSMISSION TO OR FROM OUR SERVICES, (IV) ANY BUGS, VIRUSES, TROJAN HORSES, OR THE LIKE, WHICH MAY BE TRANSMITTED TO OR THROUGH OUR SERVICES BY ANY THIRD PARTY, AND/OR (V) ANY ERRORS OR OMISSIONS IN ANY CONTENT OR FOR ANY LOSS OR DAMAGE OF ANY KIND INCURRED AS A RESULT OF YOUR USE OF ANY CONTENT POSTED, EMAILED, TRANSMITTED, OR OTHERWISE MADE AVAILABLE VIA THE SERVICES, WHETHER BASED ON WARRANTY, CONTRACT, TORT, OR ANY OTHER LEGAL THEORY, AND WHETHER OR NOT THE COMPANY IS ADVISED OF THE POSSIBILITY OF SUCH DAMAGES. THE FOREGOING LIMITATION OF LIABILITY SHALL APPLY TO THE FULLEST EXTENT PERMITTED BY LAW IN THE APPLICABLE JURISDICTION. YOU SPECIFICALLY ACKNOWLEDGE THAT SMILEVISION TV AND ITS REPRESENTATIVES SHALL NOT BE LIABLE FOR CONTENT OR THE DEFAMATORY, OFFENSIVE, OR ILLEGAL CONDUCT OF ANY THIRD PARTY AND THAT THE RISK OF HARM OR DAMAGE FROM THE FOREGOING RESTS ENTIRELY WITH YOU. The Service is controlled and offered in the United States of America. SmileVision TV makes no representations that the Service is appropriate or available for use in other locations. Those who access or use the Service from other jurisdictions do so at their own volition and are responsible for compliance with local law. 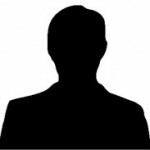 To the extent permitted by applicable law, you agree to defend, indemnify and hold harmless SmileVision TV and its Representatives from and against any and all claims, damages, obligations, losses, liabilities, costs or debt, and expenses (including but not limited to attorneys’ fees) arising from: (i) your use of and access to the Service; (ii) your violation of any term of these Subscriber Guidelines; (iii) your violation of any third party right, including without limitation any copyright, property, or privacy right; or (iv) any claim that your Content caused damage to a third party. This defense and indemnification obligation will survive these Subscriber Guidelines and your use of the Service. You affirm that you and have the authority as a representative of a corporate, professional, or business entity to enter into the terms, conditions, obligations, affirmations, representations, and warranties set forth in these Subscriber Guidelines, and to abide by and comply with these Subscriber Guidelines. In any case, you affirm that you are 18 years of age or older, as the Service is intended for professional use only. If you are not of the accepted age, do not attempt to register with the Service. These Subscriber Guidelines, and any rights and licenses granted hereunder, may not be transferred or assigned by you, but may be assigned by SmileVision TV without restriction. ALL CLAIMS, DISPUTES OR CONTROVERSIES IN ANY FORM OR MANNER BETWEEN YOU AND SMILEVISION TV AND/OR ITS REPRESENTATIVES RELATING IN ANY WAY TO THE AGREEMENT SHALL BE SUBMITTED TO ARBITRATION TO BE CONDUCTED BY JUDICIAL ARBITRATION AND MEDIATION SERVICES, INC. (“JAMS”) IN THE COUNTY OF NEW YORK, STATE OF NEW YORK IN ACCORDANCE WITH THE JAMS ARBITRATION RULES AND THE SUBSTANTIVE LAW OF THE STATE OF NEW YORK. THE TRIBUNAL WILL CONSIST OF ONE ARBITRATOR. THE PREVAILING PARTY SHALL BE ENTITLED TO AN AWARD OF ITS REASONABLE ATTORNEYS’ FEES AND ACTUAL COSTS INCURRED IN SUCH ACTION. THE ARBITRATOR’S AWARD WILL BE FINAL AND BINDING, AND JUDGMENT THEREON MAY BE ENTERED IN ANY COURT OF COMPETENT JURISDICTION. BY AGREEING TO ARBITRATION, YOU ARE AGREEING TO FOREGO ANY RIGHTS TO LITIGATE CLAIMS IN A COURT OR BEFORE A JURY OR TO PARTICIPATE IN A CLASS ACTION OR REPRESENTATIVE ACTION WITH RESPECT TO A CLAIM. OTHER RIGHTS THAT YOU WOULD HAVE IF YOU WENT TO COURT, SUCH AS ACCESS TO DISCOVERY, MAY ALSO BE UNAVAILABLE OR MAY BE LIMITED IN ARBITRATION. For purposes of clarification, you agree to arbitration on an individual basis. In any dispute, YOU SHALL NOT BE ENTITLED TO JOIN OR CONSOLIDATE CLAIMS BY OR AGAINST OTHER SUBSCRIBERS, OR ARBITRATE ANY CLAIM AS A CLASS REPRESENTATIVE, CLASS MEMBER OR IN A PRIVATE ATTORNEY GENERAL CAPACITY. If any provision of this arbitration contract is found unenforceable, the unenforceable provision shall be severed, and the remaining arbitration terms shall be enforced (but in no case shall there be a class arbitration). YOU AND SMILEVISION TV AGREE THAT ANY CAUSE OF ACTION ARISING OUT OF OR RELATED TO THE SERVICES MUST COMMENCE WITHIN ONE (1) YEAR AFTER THE CAUSE OF ACTION ACCRUES. OTHERWISE, SUCH CAUSE OF ACTION IS PERMANENTLY BARRED. These Subscriber Guidelines, and any other legal notices published by SmileVision TV on the Service, shall constitute the entire agreement between you and SmileVision TV concerning the Service. If any provision of these Subscriber Guidelines is deemed invalid by a court of competent jurisdiction, the invalidity of such provision shall not affect the validity of the remaining provisions of these Subscriber Guidelines, which shall remain in full force and effect. No waiver of any term of these Subscriber Guidelines shall be deemed a further or continuing waiver of such term or any other term, and SmileVision TV’s failure to assert any right or provision under these Subscriber Guidelines shall not constitute a waiver of such right or provision. SmileVision TV reserves the right to amend these Subscriber Guidelines at any time and without notice, and it is your responsibility to review these Subscriber Guidelines for any changes. Your use of the Service following any amendment of these Subscriber Guidelines will signify your assent to and acceptance of its revised terms. Learn more about SmileVision TV and how our Products and Services can help you get the most out of your marketing program and enhance your business! Click “Get Started” and begin using 20 plus hours of pre-recorded content SmileVision TV has available for you! SmileVisionTV helps us stay connected with our audience in a very modern and technical savvy manner. A must have for any office looking to maximize patient education, increase case acceptance and create a positive environment for dental health awareness. Carrie Sun City, AZ USA Longer than I can remember! This service is so easy to work with and if I ever have a question the response time is record timing quick. For years I have been looking for a company to develop high quality dental content to display on my reception room TV. Finally I have found the most amazing product ever. Have you ever tried to find that perfect Internal Marketing tool? That one thing that sets you apart from the rest, yet benefits your patients in a major way? SmileVision TV is THE solution: targeted, high production value, low cost, and intensely focused on those services that I can provide for my patients. 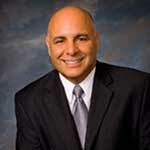 SmileVision TV is dental marketing innovation that advances internal marketing patient communication. SVTV! Total Patient Communication, very Simple – experience an increase of patient inquiries. Dr. James L. Sanderson Jr.
We were so excited to get internal marketing happening in our waiting room. Smilevision TV has helped our patient referrals to increase. And now we have the Visionplayer loaded on our website for patients to experience in their own homes. SmileVision TV is the leading global provider of internal marketing solutions for practices in the oral and medical healthcare business. Smile Vision TV is highly advanced and ventures to resist current trends by shifting the marketing paradigm and we are passionate to provide the greatest positive experience to engage every business and their customers! 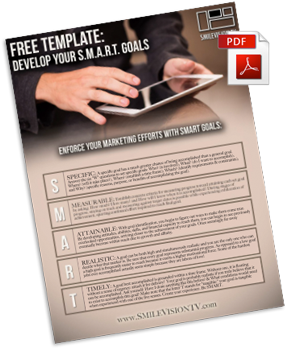 DEVELOP SMART MARKETING GOALS WITH THIS COMPLIMENTARY TEMPLATE! ACCESS OUR FREE MONTHLY NEWSLETTER! © 2019 SmileVision TV. All rights reserved. registered with the U. S. Patent & Trademark Office. "For years I have been looking for a company to develop high quality dental content to display on my reception room TV. Finally I have found the most amazing product ever."